On December 2, 2015, my beautiful friend and the Horizons Magazine astrologer for 19 years, Barbara Lee, passed suddenly. She was a bright shining star who will be missed. Her horoscopes were the highlight of the magazine. I found Barbara Lee when I picked up a magazine called The Rose Garden at 1996 San Francisco Whole Life Expo. I was so taken by her insights and her accuracy for me in the moment that I called and had a long conversation with her. When a few months later the Horizons astrologer gave notice she could no longer do the monthly horoscopes. I called Barbara and the rest is history. She will be missed. We’ll meet again, my friend. A friend asked the other day, don’t I ever get tired of doing the same job (the magazine) myself over and over every month for 20+ years, chasing ads, hauling around magazines? I smiled at her perception of what I do. No, I’ve not yet tired of it. While I do haul around magazines and I don’t have volunteers, employees or salespeople, I don’t chase ads other than sending out monthly invoices. I’m blessed that word of mouth sustains the mag. Once a year I may send out an email giving the ad specials. Prices are low since I’m not in it for the income, I’m in it for the outcome. Our ad rates haven’t changed in years and that’s because Horizons wasn’t created to generate income. It pays for itself and I earn dollars otherwise. In my 30+ years professional practice as a psychic reader and spiritual advisor, it’s far more than a job. It’s part of my mission, and a venue for connecting with those who are asking questions that I have the answers for. To me, it’s all about focus. Horizons is all about keeping the reader focused for the time it takes to read the magazine, focused on what possibilities and opportunities are available for them to attract to themselves. What is possible once the reader takes time to set an intention, release resistance and then look for evidence of it everywhere. Look for what? 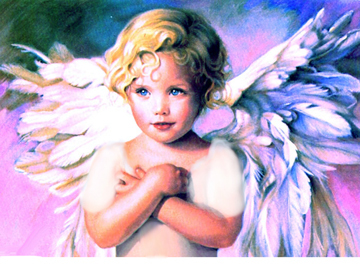 Look for happy, healthy friends, couples in love, money changing hands, know that miracles can be right around the corner. What corner? The corner of your current belief system. This isn’t magic or cultish. This is simply expanding your perception so you begin to understand more of your world around you. I remember when I first got glasses to drive at age 30. I was surprised at all the detail that suddenly came in to view all around me! The individual leaves on the trees, every printed sign everywhere. It was overwhelming. I was so dazzled to distraction by it that I took the bus to work from Kendall to downtown Miami for a month to get used to it. As a near sighted person seeing long distance clearly for the first time, and as a professional psychic and medium, I learned that having the broader view has a downside. After all the years spent trying to tune IN to the essential, I found the harder task was learning to tune OUT the UNessential. Why do I need to expand my perception? Maybe just to reassure myself that I’m living the happiest life possible. My world changed on an unplanned and unexpected cross country trip to California in the 90’s. My mother had literally died 2 days before. I encountered a new world every day of the 8 months I lived there. Among other places, I visited Hayhouse in Carlsbad and Self Realization Fellowship in Encinitas. I’d often dreamed of becoming an author. Meeting many of the leading authors in the new age field and connecting with new ones and getting to know them let me see that their life was more about promotion and book selling than it was about writing and teaching. Although I understood the need for this, it helped me decide that was not the kind of life I wanted. It did however introduce me to the world of professional consulting and ghostwriting, and I entered into several collaborations and close friendships that endure to this day. Being in California for almost a year helped me clarify my mission. I spent hours a day atop Mount Fremont overlooking the Monterey Bay, listening to inner guidance and pondering my next step. When I returned home after 8 months’ away and saw the stack of “important projects” I’d been working on, I saw right away my heart wasn’t in them. They were merely me on a hamster wheel, creating busy work and going nowhere with it. Although I’d not felt “unconnected” prior to my mother passing, living in California for 8 months opened me to a whole new level of connection. I began to see the expanded view. Much of that had to do with me being in an entirely new environment, so I literally saw nothing of my “former life, my Florida life” as I was living “this California life.” Everything being new meant I did not know what to expect. There’s an excitement in that that I’d been missing for years. Missing it was the source of my resistance. When my resistance dropped, by travelling to a new location and seeing new sights and hearing new sounds and nothing familiar, the floodgates opened with new experiences. By the time I returned from California, Horizons took on a more personal tone. My friend asked about competition with other local magazines who have more ads than Horizons. I told her it’s not a competition. We don’t publish the same kind of magazine. We each attract what our readers want to read each month. Mine happens to be a personal message I am on a misson to share. I’m blessed with advertisers who recognize the mission and share in my vision for a happier, more expanded life. Visit them, discover what your connection to them is. The fact that you’re reading this means there is a connection to be discovered. Experience has taught me that there is always a connection to be discovered. I didn’t always know that. So who am I anyway? I became a student of meditation and yoga philosophy shortly after graduation. During the 1970’s, I explored various philosophies, eastern and western. In 1976, my dad introduced me to astrology. The late 70’s and 80’s were spent experimenting with divination and astrology. I studied Eastern philosophy and even got involved with a cult or two. I gained invaluable experience, I was glad to be in and glad to be out. I took Transcendental Meditation, yoga, est, the Dale Carnegie course, primal scream therapy, Gestalt Therapy, Transactional Analysis, rebirthing, Neuro Linguistic Programming, Silva Mind Control, Biomagnetics, Therapeutic Touch. 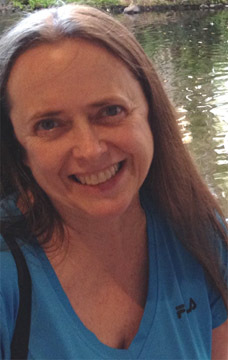 From 1992-1997 I worked for Psychic Friends Network doing 40-60 readings a day. I also began teaching meditation, yoga and offering psychic readings at local new age stores, teaching weekly tarot classes, psychic development, and teaching about the human energy field. I am a graduate of The Monroe Institute Gateway Voyage program and have completed Pranic Healing levels I and II with Master Stephen Co. 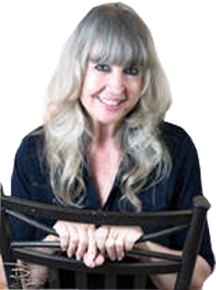 I have completed Reiki I and II, I am a certified professional hypnotist, paranormal consultant, ghostwriter and editor. I live with my extended family in a small wooded sanctuary north of Indian River County, FL. My life has been a series of continual upgrades since I began my journey of spiritual awakening and personal growth. I want everyone to have free access to what I know. I want everyone to know that anything is possible and anyone can do it. I want everyone to know that the life they are living now is just a fragment of what it can be, if they want more. And that you don’t have to shell out hundreds of $$ for workshops and books and crystals and wind chimes and training and certification for ascension and acceleration and internet products in order to reach a higher potential or have an awakening experience. I would like you to know you are capable of far more than you ever dreamed and there is an internal compass that guides you in every moment by the emotions you are feeling in response to the thoughts you are thinking. You have more choices available right now than you ever thought possible. And your goals are easier to reach than you ever imagined. 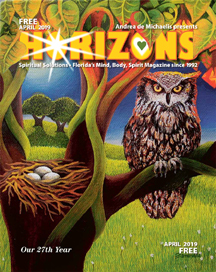 Established in 1992, Horizons Magazine is designed to inspire, educate and entertain those who are exploring the body/mind connection and seeking spiritual solutions to everyday life. Our purpose is: To provide a forum to connect those who seek purpose in life. To use our combined power to encourage each other in our personal visions. To remind you that you are far more powerful than you can imagine. To establish in the minds of our readers the reality of the mind / body connection and the fact that we participate in creation of the reality we experience. What we see and experience is simply the brain’s interpretation of electrical signals. The only reality we cope with is the world of perceptions inside our mind. We participate in creation of the reality we experience by our intentions, beliefs and expectations, by every thought we think and every word we speak. To promote the reality that we survive in consciousness after the change called death. To comprehend this, we promote the practice of daily separation of consciousness from the body via meditation. Once we experience our existence beyond physical circumstances, fear of death is removed. The less fear of death we have, the more we see the world from the higher perspective and the more we recognize how powerful we really are. This frees us to begin to live more fully, in every moment, now. Our lives become increasingly fulfilling as we take responsibility for how we perceive life and how we react to it. We’re here to find and relate to others, and everyone who reads these words or writes a word in these pages seeks to be connected with those who seek likewise. So, if you read an article that touches your heart, or an ad that intrigues you, call and get together with the person listed; or just call and introduce yourself and discuss their offering with them. Connect with each other, come to know each other, exchange information. We believe that as we all work together, we are making the world a better place.